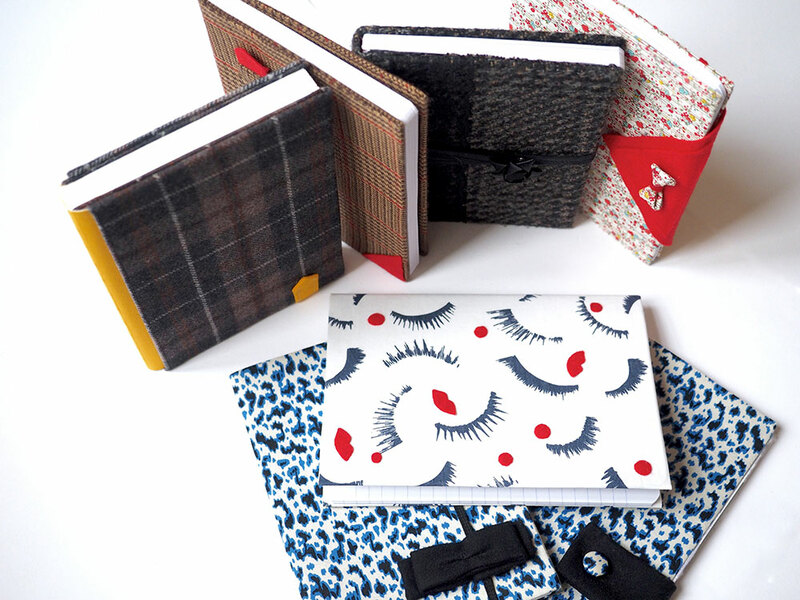 LivLee blog or LivLee shop is all about creativity... notebooks and stories! If you like the blog, do you know that there is also another version of LivLee? 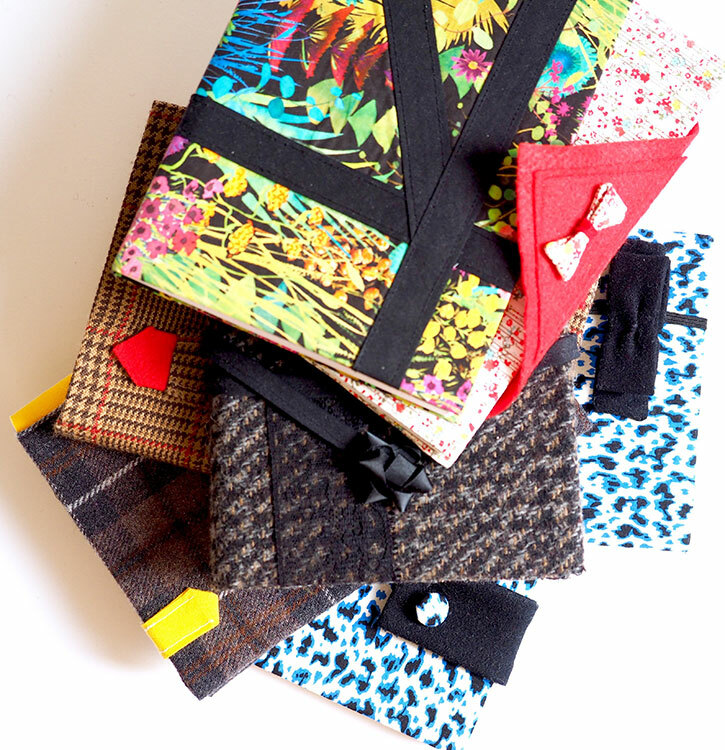 Notebooks made with fabric! Reading articles or writing your own stories on a nice notebook, you can have both with LivLee. From a computer keyboard to a blank page, there is only one, and even coherent, step! How is that? Well, during the interviews for my blog, I take notes by handwriting; well, travel notebooks fascinate me (aren’t they the trendy version of photo albums? ); and of course, I have already bought pretty little notebooks without ever daring to write in them, but that was before… Now, I use them all the time like a little bag for ideas. We all have a handbag but each girl has its own way to handle it. There are those that are far-sighted and organized. Everything has its place, their bag is always tidy and they find their keys and their phone with one hand, in 3 seconds sharp! And finally, there are of course all the shades between the two aforementioned categories. It takes all sorts! With notebooks, it’s exactly the same! From the super-elaborated bullet journal (the famous bujo) to the struck out reminder to which pages have been extracted and in which the shopping list cheerfully joins your favorite poem or quotation, not forgetting the name of the last restaurant to be tested, everything is possible. Each one has/his.her own method, but one thing is certain, without it, we are all lost, or rather, our ideas are. Process 1: an idea, a notebook, you note each of them and your brain is released. Process 2: an idea, nothing to note it down, a lot of effort to remember it, too many competing ideas in your mind, so for sure, you will be overwhelmed, your brain feels congested, arghhhh, and finally you forgot half of it. QED. So where is your notebook? Why would you choose a LivLee notebook? The sense of touch is very emotional for me. For example, a piece of cotton… it is light and fresh, while wool is soft and cozy. But to the pure aesthetic, we can add another dimension, which brings you back to your sensations. Establishing a link between the pleasure of writing and the contact with the fabric is a way of closing the full circle. First, there is the choice of fabric. It can be a love at first sight when I search new fabrics in huge stacks of materials or I come with an idea that I want to decline in a notebook. I like diversity, girly prints as much as more boyish wools. No preconceived ideas. I want that everybody find his.her favorite. Once the fabric is chosen, I build the universe of the notebook. Ahhh, the creation phase with, like icing on the cake, the moment when I think “that’s it, I found it! “. If you are interested in knowing more details about this phase, tell me! Another crucial point is the quality of the fabric and the paper. I pay special attention to this link between the object and the person to whom it belongs. Soft paper for the pen to glide easily, plain or ruled pages according to the preferences of each one, and grain paper for the painters/sketchers. For each use, its specific notebook. Each model is made in limited (or very limited) edition. Of course, creativity and exclusivity are the heart of this artisanal approach. Besides, I also offer a tailor-made service. You dream of a notebook? Or you want to customize an existing design? It’s absolutely possible! Let’s have a look on the LivLee Facebook page. Moreover, each notebook is handmade upon order, so it is unique. I make it carefully for you, yes, you and no one else. This is more than a purchase because I exchange with my customers. We meet around common values ​​and tastes. It is another form of commerce, digital but above all human. So, when I put the package in the envelope, several feelings mingle. The joy of having finished the notebook and announce its imminent arrival to its future user, overlaps with the joy of the well done job and a small pinch in my heart to let it go. If you want to share this adventure with me, let’s have a look on my shop Etsy Livleeshop. And of course, because we all live in a connected world, you find all the LivLee news on Facebook and on Instagram.